This week, I’m going back to another beloved series that I’ve touched on before. I statted up beloved bounty hunter Samus Aran at the start of the year, as well as her common enemies the metroids. Although Samus can handle a metroid without much effort, there is another enemy that I would truly call her nemesis. So, let’s take a look at Ridley! Piercing Tail (Ex) On a critical hit with his tail, Ridley impales his target. The creature becomes grappled and attached to Ridley, moving when he moves. The creature remains grappled until it breaks free. Plasma Breath (Ex) Once every 1d4 rounds, Ridley can breathe out a blast of deadly plasma. This plasma can take two forms. He can fire the blast as a 30 foot cone or as a 10 foot radius blast at a point within 60 feet. Creatures caught in the blast take 12d6 points of damage. Half of this damage is electricity damage and the other half is fire damage. A creature can halve this damage with a successful DC 17 Reflex save. Ridley is a terrifying creature that belongs to an organization known as the Space Pirates. Ridley is a unique creature of an unknown species that resembles a dragon. He is a foul tempered beast with a love of death and destruction, leading the Space Pirates to locations just to have them destroyed. 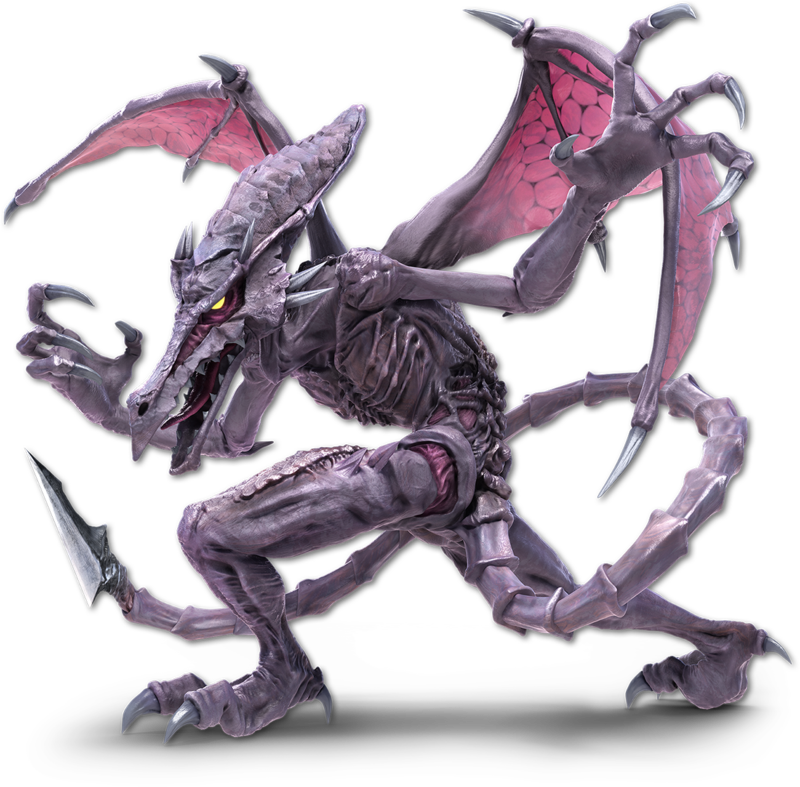 Though he is bloodthirsty, Ridley is intelligent and a capable tactician. In combat he will use his superior maneuverability to outpace his foes. His powerful tail is capable of piercing through powerful armor and impaling his foes. When attacking from a distance, he uses his deadly breath attack to burn away his enemies. Though many powerful warriors, including renowned bounty hunter Samus Aran, have bested Ridley in combat, he is notoriously difficult to slay. Even in situations that suggest his death, such as the destruction of entire planets, Ridley seems to cheat death and show up again later, striking fear in his foes yet again with his terrible roar. That’s it for this week! If you end up introducing Ridley into your game or you have any request for a future Monstrous Physique, please drop me a line at KnowDirection@hotmail.com.